If you’re a regular follower of ClassTechTips.com you know how much I love using digital tools to check for understanding (aka #FormativeTech). 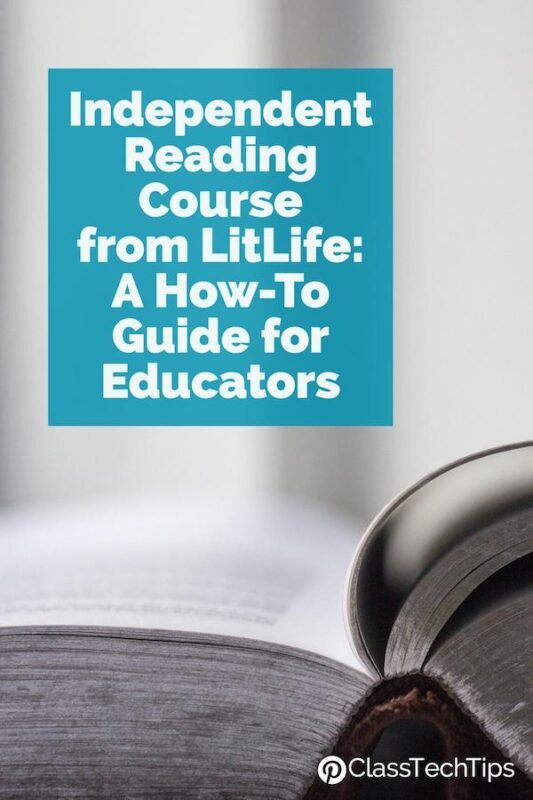 This past year I shared a super popular post all about using an online discussion space during read alouds – read it here. This type of backchannel in the classroom is perfect for all types of discussions. You can use this strategy throughout the school day. 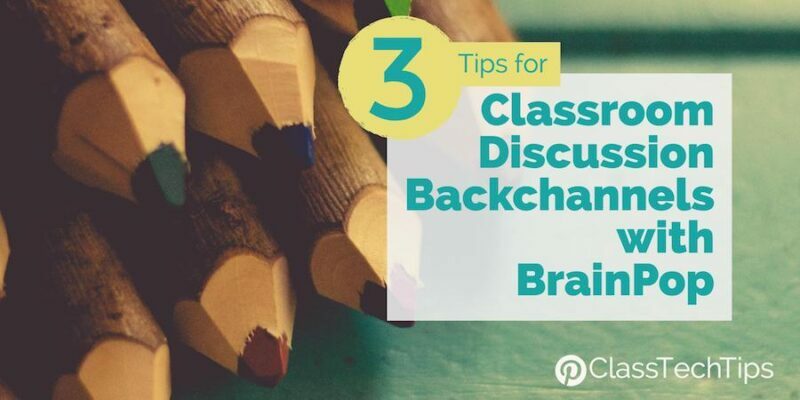 A backchannel is a space where students can post questions, respond to prompts and participate in a discussion without raising their hand. 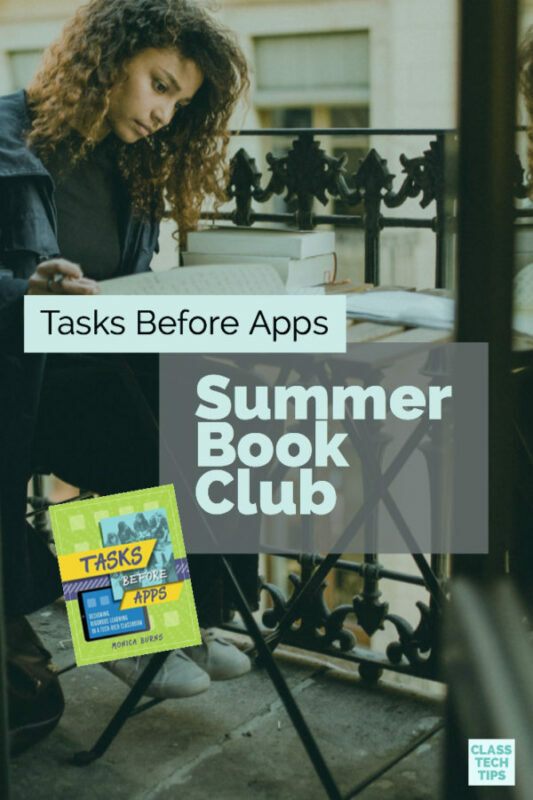 You might set up a backchannel for students using one of these tools or have older students set up a Twitter account and tweet using a shared hashtag for a virtual class discussion. If you haven’t used backchannels before you may want to check out this post for a quick overview. So what does this have to do with BrainPOP? BrainPOP is a favorite resource for helping students dive into a range of topics. As a fifth grade teacher I used BrainPOP to introduce students to concepts like the causes of the American Revolution and help them build vocabulary on topics related to climate change during an informational writing unit. Although BrainPOP gives users access to short movie clips on topics related to your curriculum goals, there are also great features like Make-A-Map for concept mapping and discussion questions to use with students. If you don’t have access to the full version of BrainPOP you can share one from their selection of free videos with your students for classroom discussion backchannels. Click here to download my poster with more FormativeTech tips for teachers! At ISTE this year I led two sessions on using digital tools to capture formative assessment data. In both of my #FormativeTech sessions I asked teachers to open up a page I had set up. Then I showed a BrainPOP video to the group. In this backchannel space I asked the teachers to type in one thing they already knew about the topic. So for example, before watching a video on Alexander Hamilton, they typed in something they already new about this historical figure. Asking students to share something they already know is a great way to set the stage for new learning. A backchannel is kind of like a chat room. Students can type in a response to a question or a general observation. When showing a BrainPOP video to your class, pause a minute or two into the movie. Then ask a question related to the topic. For example, if you are showing students the Alexander Hamilton clip from BrainPOP you might ask them a question like, “What impact did Alexander Hamilton have on the development of the United States?” Students can turn and talk to a partner, then open up a backchannel like Today’s Meet and share their responses to your question. This gives you information you can use to assess student understanding. As you look over responses in a backchannel you can learn a lot about what students know about a topic. You can see what they are excited or curious about, as well as misconceptions they might have. If you show a video on a new topic to students, give them access to a backchannel space. As they chat about the topic students will give you information you can use to plan for tomorrow or the next week’s lesson.